From October 7th 2015 until January 6th 2016 the popular exhibition “Our Arctic Future” has been on display at the Nordic Embassies in Felleshus on Rachstrasse. During the past 4 months, the exhibition has been open for the people of Berlin to come and get an insight into the many different aspects of climate change and the impact this phenomenon is having on the lives of the people living in Greenland and on the Faroe Islands. One of the main aims of the exhibition was to create a better understanding of the complex and fascinating region and provide those with little knowledge of the areas with a deeper insight. Themes like change, wilderness, future, and identity were explored and portrayed through different art forms. 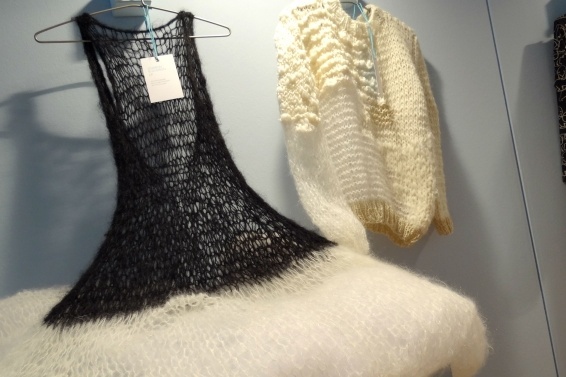 With a mixture of photographs, fashion designs from Greenlandic and Faroese designers and video recordings, the well-visited exhibiton gave a versitale insight into the current situation in the Arctic area. Different voices were lifted through the exhibition where the people living in Greenland and on the Faroe Islands were given the opportunity to share their thoughts, hopes and feelings concerning the future of the Arctic. 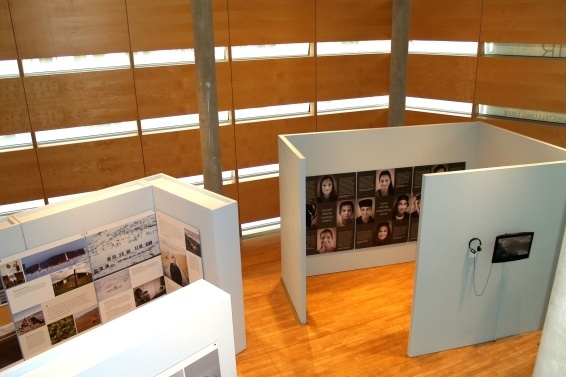 The exhibition was produced by the Natural History Museum of Copenhagen for the Foreign Ministry of Denmark in cooperation with the governments of Greenland and the Faroe Islands. In addition to acknowledging the extrordinary beauty of the area and the great importance is has to the earth, it also brought into the spotlight the efforts of international cooperation to find common and sustainable solutions for the future. This theme is as relevant as ever today, considering the world’s nations have agreed on a new global and legally binding climate agreement only months ago in Paris.